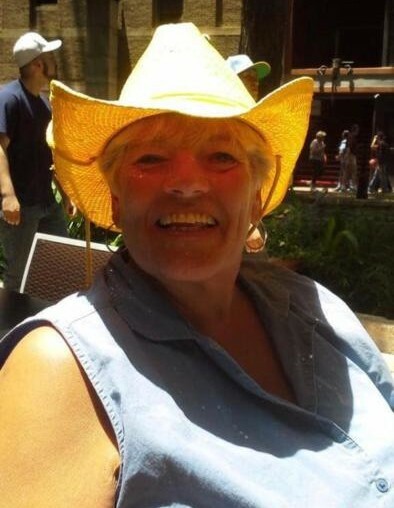 Obituary for Donna M. (Roy) Kenyon | Varnum Funeral Home, Inc.
Ware - Donna M.(Roy) Kenyon, 64, of Ware died on Friday, April 12, 2019 at Baystate Mary Lane Hospital. She leaves her Husband, David M. “Deacon” Kenyon, Sr. of Ware, her son, David M. Kenyon, Jr. and his wife Danielle of Monson; two daughters, Nicole Miller and her husband Chris of Manchester, NH, and Ashlee Skowyra of Mansfield; her son-in-law Chris Skowyra of Mansfield; her mother, June Roy of Franklin; four brothers, Jim Roy and his wife MaryJo of Camas, WA, Robert Roy and his wife Lisa of Eagle, ID, Mark Roy of Deatsville, AL, and Joseph Roy of Franklin; four sisters, Deborah Horn, Diane Feltner, Lynda Callahan, all of Ware, and Joan Prisco and her husband Bill of Revere; and five grandchildren, Alyssa, Aiden, Landon, Ariya, and Owen. She was born in Cambridge, daughter of the late Joseph Roy. Donna was a childcare giver at KidsSTOP for 10 years, before retiring in March. She was a loving and devoted wife, mother and grandmother. Her life revolved around family, children and the church. Donna had an infectious smile and accepted everyone for who they were. She loved the sun and the water, especially the beach in Wells, ME. She was a member of All Saints Church where she served as eucharistic minister, lecture and CCD teacher. A funeral service for Donna will be held on Thursday, April 18, 2019 at 11:30AM in the All Saints Church, 17 North Street in Ware . Calling hours will be held from 9:00 to 11:00AM prior to the service in the Varnum Funeral Home, Inc., 43 East Main Street, West Brookfield. In lieu of flowers, memorial donations may be made to St. Jude Children’s Research Hospital, New England Office, 313 Washington Street, Suite 310, Newton, Massachusetts, 02458. Charbonneau Funeral Home, 30 Pleasant St., in Ware is directing arrangements.